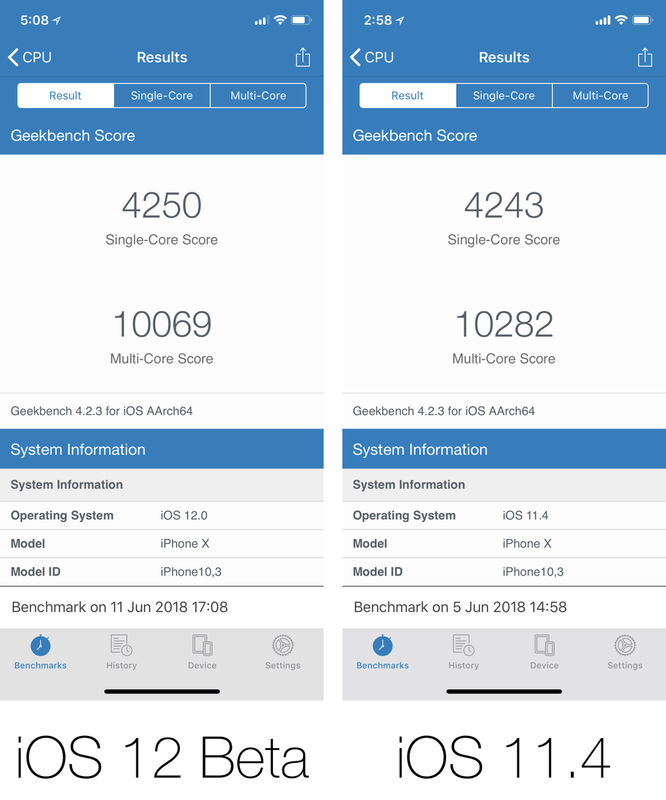 Here’s a Geekbench performance test between iOS 12 Beta and iOS 11.4 public release for iPhone X. See which one fares better. Once installed on your device, you can expect first-party apps to launch slightly faster, with access to the camera definitely quicker than before on the lock screen. When it comes to third-party apps, the story is slightly different as none of them have been updated to take advantage of Apple’s new mobile OS. Therefore I will not touch on this subject at all. There’s a high probability your favorite app might be completely broken on iOS 12, so exercise extreme caution if you are planning to install the preview build at this moment in time. I, on the other hand, managed to walk out of the situation unscathed as all my go-to apps are working just fine. So, with that aside, and performance slightly better compared to iOS 11.4, how does it fare in Geekbench 4? Do the numbers magically skyrocket in one way or the other? Well, before installing iOS 12 Beta, I took a quick Geekbench CPU performance test then I waited a good few days (which you can confirm from the screenshots below) before taking one on iOS 12 so that the OS has had time to completely ‘settle down.’ The results, well, are below for you to see. Now, the results are very, very interesting given the fact how faster iOS 12 Beta actually is in terms of performance. In the single-core score, iOS 12 is slightly ahead of iOS 11.4 whereas there’s a noticeable difference in the multi-core score, with iOS 11.4 ahead of iOS 12 in this department. 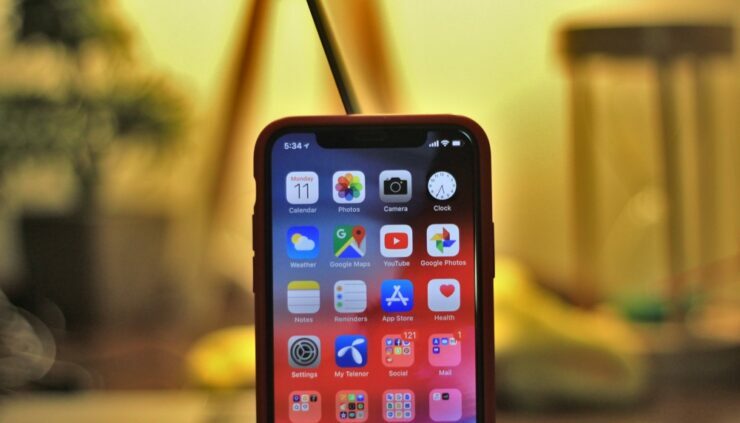 It all boils down to this: Apple designs the hardware and software to work together, so the numbers in Geekbench do not quite reflect the performance you will get, especially on iOS. But down the road, we will be doing more tests to see if these numbers change.